Lumière Movies is the first movement of its kind to bring contemporary, cutting edge world cinema to India and make it available over multiple platforms. The films, handpicked from over 35 countries, showcase works by master film-makers reflecting a wide range of cultures and varied styles of film making. While the 24 hour TV channel spearheads the movement, the Lumiere collection can also be experienced on DVD, in theatres, on the internet, as well as through customized corporate events. Alliance Lumière Ltd. is a joint venture between Imagine TV, Mr. Manmohan Shetty and Mr. Sunil Doshi which will operate under the brand name ‘Lumière Movies’. 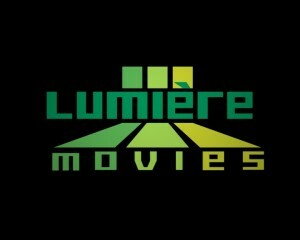 Lumière Movies derives its name from the Lumière brothers who brought Cinema to India from France on 7th July 1896, when six silent film strips, made by the Lumière brothers were shown in Mumbai’s Watson hotel. It is only fitting that more than a hundred years later, the movement that is bringing a new wave of cinema back into the country should be called Lumière Movies. The films from Lumière Movies span across genres – from drama, romance and comedy to horror, thrillers and war. These films include highly popular and acclaimed films from across the world including award winners from major international film festivals like Cannes, Berlin, Sundance, Toronto, Venice etc. At Lumière, the endeavour is to create awareness of current global trends in an industry that is constantly evolving with the continuous influx of new talent, and to offer audiences a wider variety of films to choose from. This is the first time world cinema is being brought to India on such a grand scale. New age masters such as Fatih Akin, Aki Kaurismäki, Elia Suleiman, Pedro Almodóvar, Emir Kusturica, Sameera Makhmalbaf and Abbas Kiarostami amongst others are complemented by legendary veterans such as Fellini, Bergman, Louis Malle, Antonioni and Chabrol, offering a collection of films that showcase the best talent from around the world.